Dee C’rell [pronounced Dee Ce-Rell] was born in Hackney and grew up in Shoreditch, central London. He is internationally recognised as a music composer, pianist, and keyboard player, electroacoustic composer, installation artist, remixer, DJ, photographer and writer. He composes and releases music worldwide in a variety of genres. He is a leading academic expert on contemporary electro-acoustic jazz, and acknowledged for the coined terminology for academic study. Originally a self-taught musician and prolific improviser who studied the mathematical structure of Western music within composition, Dee C’rell is also an academic who has studied music at City University in London. He has studied with, Professor Steve Stanton in Ethnomusicology. Professor Denis Smalley in Western music and electroacoustic music. Professor Alexander Lingus in both, primary and contemporary Western Music. Dr. Melania Bucciarelli in the music styles of the Baroque. Dr. Miguel Mera in film and composition. Dr. Newton Armstrong in contemporary Western music making practices. Andy Channing in Balinese, and Indonesian gamelan. Dr. Katharine Norman in electrocacoustic music. Dr. Aki Pasoulas in electroacoustic music. Ambrose Seddon in electroacoustic music. He has also studied jazz, contemporary piano and improvisation with pianist Christopher Wilson, and jazz piano with David Frankel at the Guildhall school of music and drama in London. As a teacher, Dee C’rell lectures on the principles of contemporary electro-acoustic jazz. His primary focus is on the emerging development of European jazz and its relationship with Western and non-Western music, electroacoustic music and the interaction of technology, and improvisational music making practices. 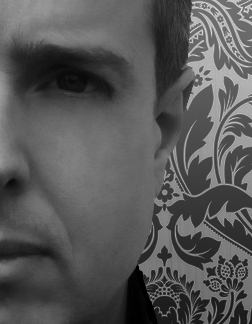 He has been associated with electronic dance genres since its principal years; writing and remixing for some of the most well known and respected singers, DJ’s and producers. He was considered one of the three most influential keyboard-producers working in American house music alongside, Jimi Polo and Tommy Barbarella, noticeably before he was even twenty years of age. He re-wrote and performed on the classic club track, So In Love With You that featured Gerideau and Shawn Benson. It is regarded the first track to feature two male singers in a duet in house music: It was first performed alongside DJ Tony Humphries at the Ministry of Sound and has since been re-released by Norman Jay MBE on the 30th Anniversary of the Notting Hill Carnival on Strut Records; securing Dee C’rell’s place in the history of house music. In techno music, he has collaborated with Ian Tregoning; known also for his work with Yello and Underworld, amongst others. As Stranger and C-rell, they signed to the record label Freetown and subwoofer and released the classic remix of Jocelyn Brown’s I like it like that. Released as Drum Whispers, the track is considered as one of the first and finest tribal techno-electro club tracks of its time: it is now a collector’s item within electronic music. He also appeared on Ian Tregoning’s first album, co-writing the track Lost Pyramids and performed keyboards for one of the tracks on Tregoning’s remix EP for Mr C’s Plink-Plonk label. Dee C’rell has also composed in break beat and drum ‘n’ bass since its primary years and recorded with Subject 13 on the record labels Sony and Underground Level Recording. Releasing Techno City, The Unique Beatz E.P Vol.1 and Stay Blessed, these releases became influential in the English break beat music scene; inadvertently leading to the progression known worldwide today as drum ‘n’ bass. Short description of present work. Currently considered as one of the most exciting musicians within electronic and acoustic music by a vast array of the most significant DJ’s in the world, Dee C’rell’s music is increasingly influential worldwide. His music readily appears on a variety of record labels and radio stations within electronic and acoustic music, and his name is synonymous within music genres; such as, downtempo, lounge, nu-jazz, jazz, ambient and chill-out, amongst others. He currently owns the contemporary record label, Holm Records, which also releases many of Dee C’rell’s compositions and his collaborations with various artists. In 2012, Dee C’rell released the album Modal Times which included jazz legend Torsten de Winkel and Audun Waage to critical acclaim. He released further works such as, Hymn from Journeyman, The Birth of Contemporary Electro-Acoustic Jazz, Turning, Within Serenity, Particles, Elements in Blue, Places Continued, Nomadicology and Images. Additional tracks such as, Departure, Together, Other Lands, Form 2, Black from the Day, Edifs Tale and many others, have appeared on a variety of CD’s and digital albums; such as, EMI’s Chillout 6 P.M, Lounge Du Soleil, Future Jazz Café, Klassik Lounge Nightflight, Nu Cool Jazz Vibes, Lingerie Lounge, chillinglounge and Sapphire Lounge, amongst others, earning Dee C’rell notable global recognition. He continues to release electronic and acoustic music on Holm Records and Lemongrassmusic and other exclusive record labels. Dee C’rell also remixes for some of the most prominent artists within various genres of electronic and acoustic music making practices: For current information regarding music releases and remixes, please click here. Short description of DJ work. 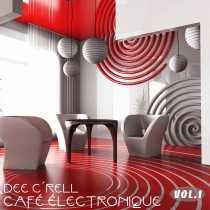 Café Electronique is the first of a series of music volumes by Dee C’rell, which are exclusively recorded and released for label Lemongrassmusic. As an active musician and composer since the primary years of the American and UK dance scene, amongst other genres, Dee C’rell is no stranger to electronic music making. Now known for his creative output within a vast array of music making and education, he turns his attention to an eclectic set of compositions that creates volume 1 of the Café Électronique series.